I woke up tormented by the feelings of having lost a choreographic phrase from my dream. I realised the past week of watching dance at the Attakkalari India Biennial was satisfying. 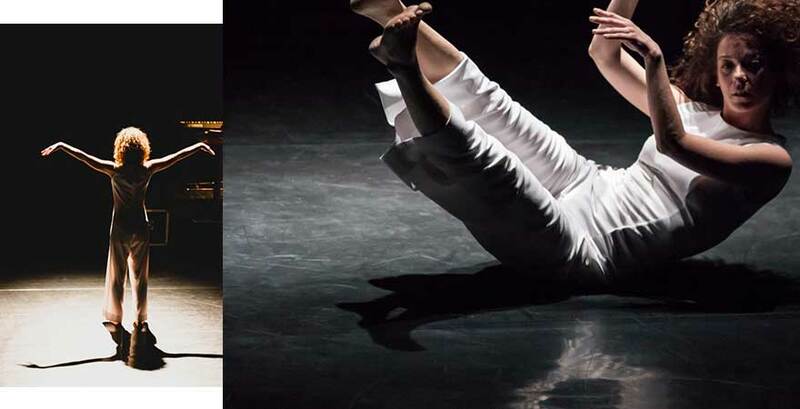 It’s a mark of success that a contemporary dance festival excites one to move, to generate ideas (even in one’s dreams! ), inspires one to find associations with other forms of creative expression, and builds a community. 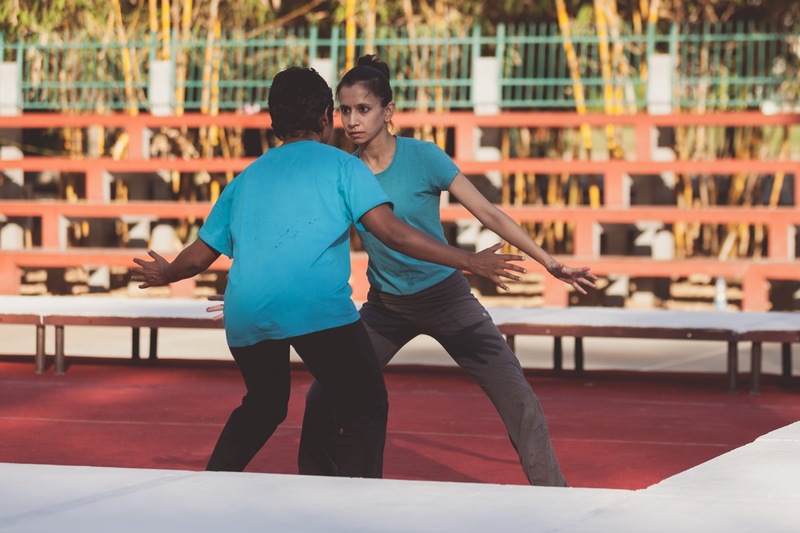 The ten days of the Biennial treated Bangalore to a wide range of performances that propose different kinds of choreographic interventions. 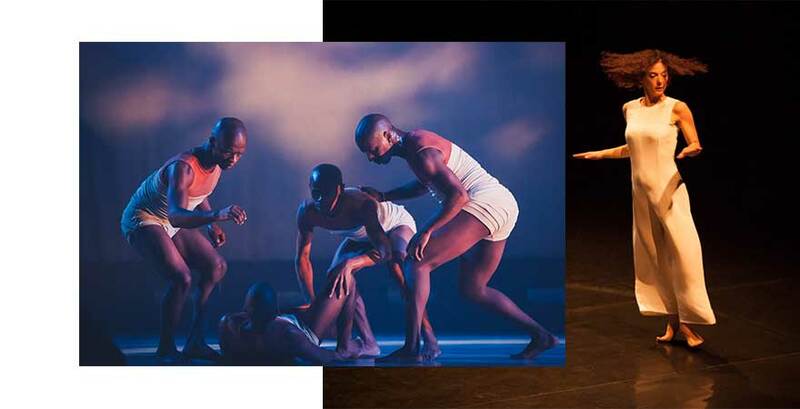 Of the Centre Stage performances of the Biennial, seven were ensemble works, with five or more dancers on stage. 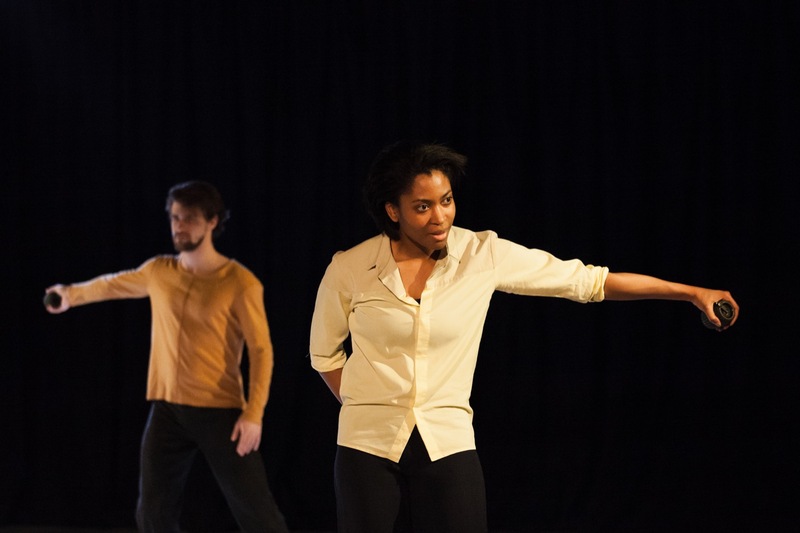 My observations of the negotiation between the individual and the group in these works helped me notice a transformation in contemporary dance’s approach to ensemble works. During my training in Bharatanatyam as well as during my stint in a Bollywood-style dance company in Mumbai, the approach to dancing in an ensemble was very precise—we had to look identical and coordinated, and look extraordinary while doing all of that. Watching a video recording of dancers from Kalakshetra execute a clean thillana, I remember being mesmerised by the perfect coordination they’d achieved and the way every angle of their limbs marked equal arcs. 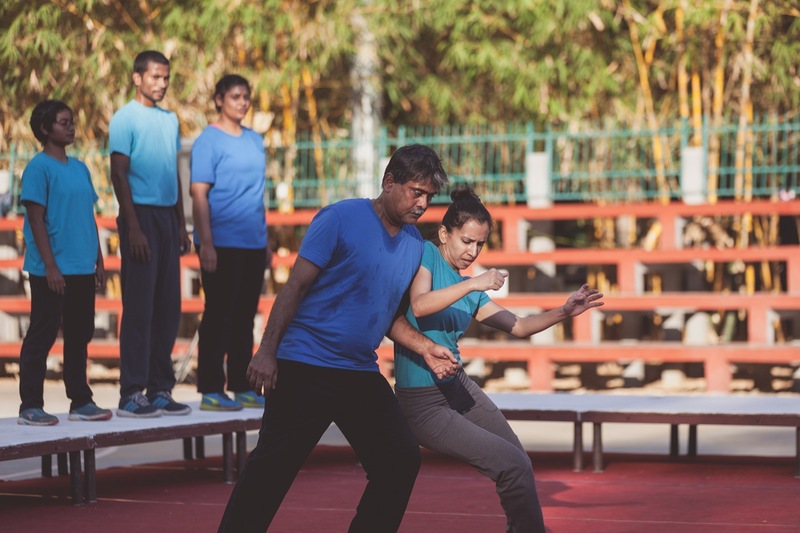 Even for the commercial stage shows in Mumbai, our incessant rehearsals were always meant to work towards perfectly looking identical, and pulsating as a common large body of energy on stage—what is otherwise called, to be faadoo. Some of the performances at the Biennial brought up questions around the machinations, executions, and making of ensemble work in contemporary practice. Some works allowed us to recognise the individual voices in the collective, others built on personal signatures within in an ensemble, and still others were groups clearly made up of many individuals. While this work is mostly comprised of solos unlike previous versions of The Rite of Spring, there are several moments when all the dancers gather on stage. 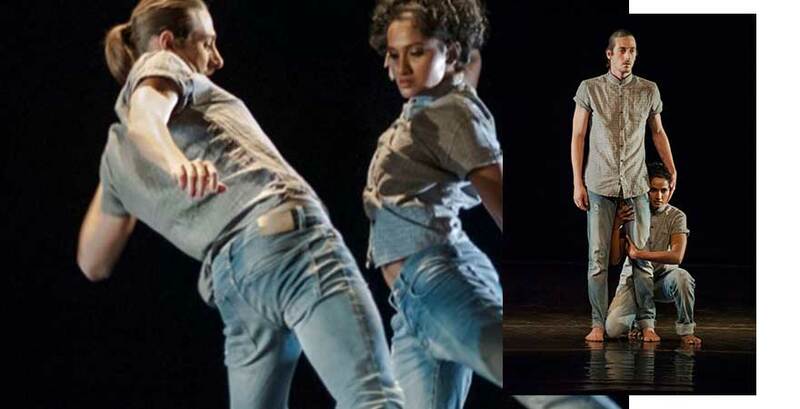 Even in the cacophony that the music dredges up when the dancers run haywire and execute a choreographic phrase in random order, there is an embedded precision in the chaos. 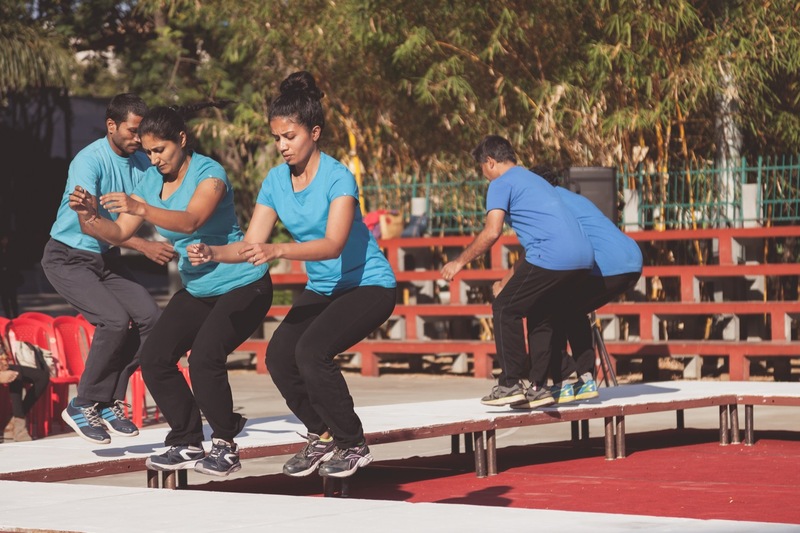 In Preethi Athreya’s Conditions Of Carriage, which uses the simple functional act of jumping as the primary element of its choreography, the individual stood out even in their movement as a cohesive collective. During the performance, each performer calls out a number, and later, shouts out their name, drawing attention to each individual, the parts that make the whole. The work also exposes its constituent elements in its mathematical structure and mechanical negotiation of space. 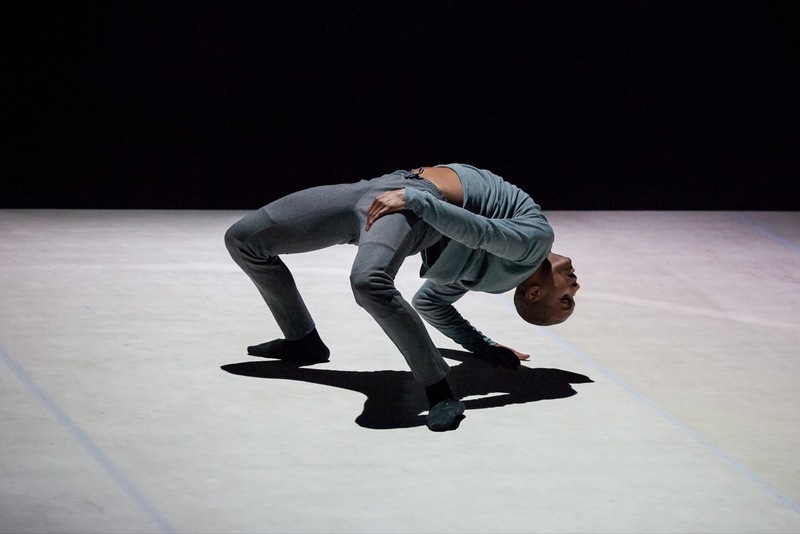 Athreya proposes the motion of jumping as a corporeal political act by choosing an accessible basic movement over virtuosic leaps as the seed for this performance. Watching these diverse bodies not just jumping, landing, and playing together, but also faltering, falling, sighing, and tiring together in the square pit is an interesting way to access the proscenium that betrays none of the goings-on in the wings. In an interview with Preethi, Madhushree Basu points out that Conditions Of Carriage is an internalised “personal” speaking by each of the jumpers, who use this process to communicate with their own and each other’s bodies. In her interview with Madhushree, Preethi explained that she had to be aware of the differential readings possible with her choice in pairings in this section. She says she had to be conscious that a male-female pair might allow for sexist man-woman reading, that pairing jumpers of different heights or physicality might open itself to be interpreted as bullying. 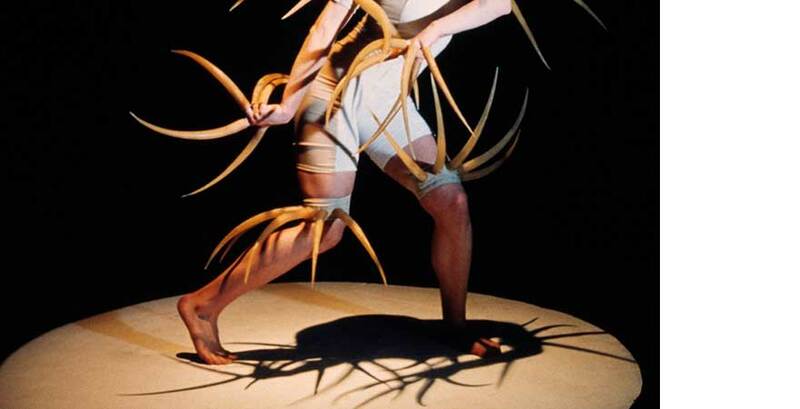 In choreographing this work, she paid attention to these dynamics and tried to avoid falling into traps of symbolism; she tried to extricate the truth of the body through the physicality of jumping. Having seen this work being performed at various venues and cities, I’ve come to observe that this value of the personal towards the cohesiveness of the collective has certainly matured in Conditions Of Carriage. At the Biennial performance, the ‘satellite section’—a duet performed by different jumpers charging towards each other—impacted me differently. Perhaps it was the open basketball court venue that put up a vast distance between the audience and square pit and dissipated the energy emanating from the jumping pit. Having seen the work with ten bodies (there were eight in this performance), I could feel the absence of two jumping bodies. 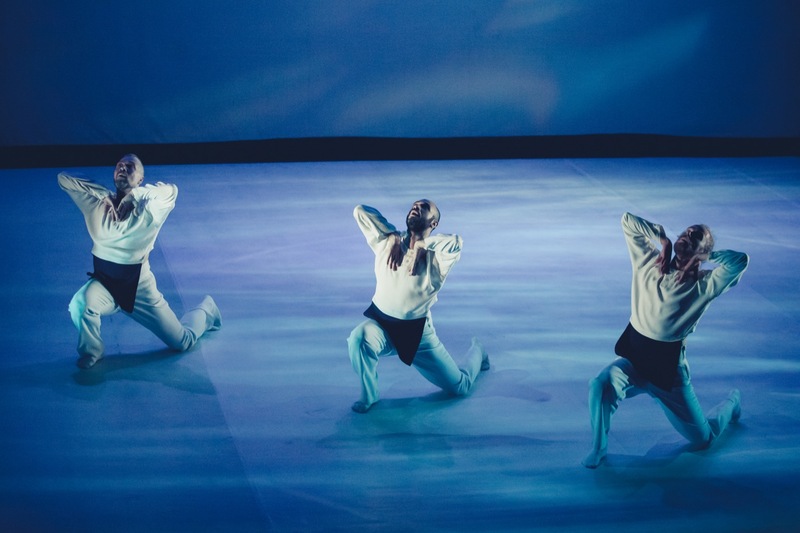 Despite the freedom to embed the personal in the collective that contemporary dance practices, as an audience member one is often invested in how the details of choreography are perfected. Indeed, all the pillars that hold up a ceiling, upon being thumped, resonate with a different sound. But they all need to be singing different pitches of the same song. 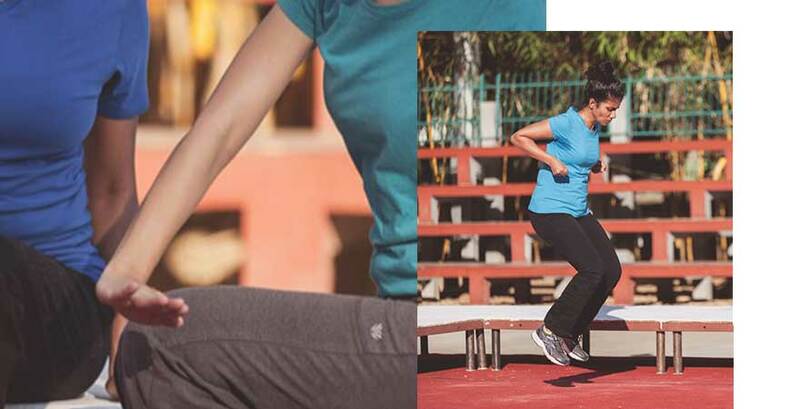 Parvathi Ramanathan likes to dance, write, and explore. She is interested in questions of identity pertaining to nations and borders, especially about how these manifest in the body and in everyday life. She is a trained Bharatanatyam dancer, now exploring other forms of movement and expression.